Improve your technique and top-end speed in 8 weeks! Swimming without a training plan is a bit like trying to drive in a foreign country without a map: you’ll always get somewhere, but the place you arrive may not be where you actually want to be. Without a proper swim plan, your workouts might not lead you towards your goal. 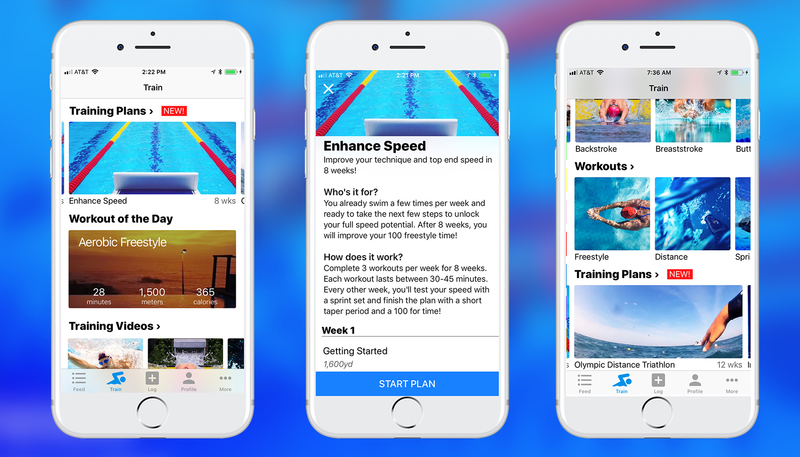 The MySwimPro App offers training plans designed to get you back in swimming shape. Download the App for free on iPhone and Android to subscribe to a training plan that’s right for you! Who’s it for? You already swim a few times per week and ready to take the next few steps to unlock your full speed potential. After 8 weeks, you will improve your 100 freestyle time! How does it work? Complete 3 workouts per week for 8 weeks. Each workout lasts between 30-45 minutes. Every other week, you’ll test your speed with a sprint set and finish the plan with a short taper period and a 100 for time! 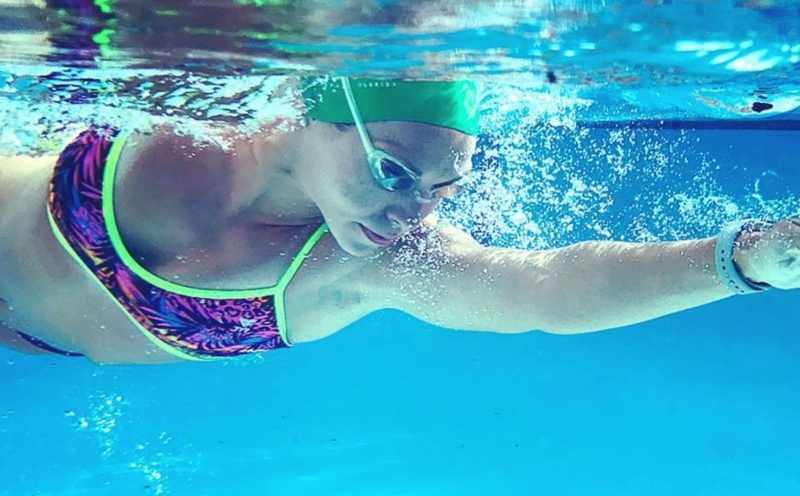 A training plan is a critical component to the success of reaching your goals in swimming! Here are some additional ways this plan is designed to help you get there. Time: During the week, you may feel stretched on time. This plan sets all your workouts ahead of time for you; therefore, you are more able to fit them into your hectic schedule than you thought. You’ll know exactly what you’re doing for the week and how long each workout is. Setting Goals: Having a chart makes makes your goal much easier and attainable Having a goal gives you something to work towards and a plan helps get you there! Staying Focused: By having a plan ahead of time, you know exactly what you’re going to do and when you’re going to do it. One of the worst things that can happen is to only swim when the mood hits you (or not at all). A plan will keep you focused on where you’re going. Staying Motivated: By adhering to a weekly schedule, you may find that you are staying motivated between and during every session more so than if you didn’t have a plan. Seeing the entire plan laid out in front of you will help visualize success and keep you on track. Accountability: If you can’t swim with a team or coach, this plan is for you! We are your accountability partners in this journey. A structured plan will keep your schedule in check and accountable to each and every workout. So what are you waiting for? Start the Enhance Speed 8-week training plan and achieve your goals like never before with MySwimPro! Still not convinced, read: Why You Need A Structured Training Plan.  Archived in Technique & Training, Training Plans. Bookmark the permalink. I subscribed to this plan on the app on my phone, but where do I find the details of each workout? when will SwimPro be available on Android? Hi Audre, it is currently available on Android 🙂 Just go to the Google Play Store and search MySwimPro! Yep! Just Upgrade to Premium (your first 7 days are free on the trial) and you can begin the training plan. Enjoy! Hi! I’m looking for swim training plan focusing on speed (100m) with 6-7 workouts per week. Do you have such plan in premium version? There is possibility to customize this plan? Hi Michael, great question! We currently do not offer a training plan with 6-7 workouts/week in it. 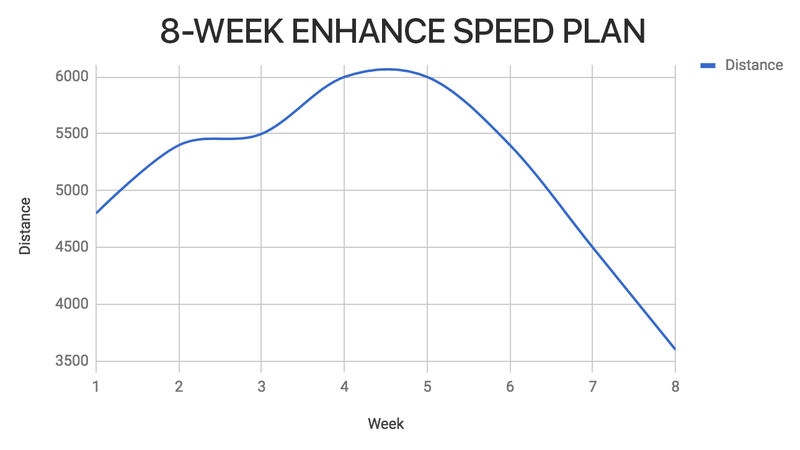 What you can do though is join the enhance speed plan, then incorporate your other 3-4 workouts a week with other workouts from our full library. We have many sprint workouts in the app that will pair great with the plan! Thanks for your question! Can I use this app to help me come up with workouts for my high school swim team? As a soccer coach who has just finished his 49th season coaching high school soccer I am now a first year swim coach and I could use some help to get my swimmers ready for competition. I am still trying to figure out the app which I will purchase after the seven day trial period runs out. I am getting the app for myself. Hi Mario! Welcome to MySwimPro 🙂 Yep the app will be a great way for you to come up with some training plans and workouts for your swimmers. Send our coach Fares an email if you have more swimming questions! fares@myswimpro.com – good luck this season! The dnhance speed workout says 4x 50 IM. Does this mean all 4 strokes within each 50m length or 50 of fly followed by 50 of backstroke…. etc? Would be great under each rep to have a brief description of what it is.